Have you ever moved your ESP8266 system from one Wifi location to another? Or perhaps made an extra one for your friend? In many cases, the initial setup requires a change to the sketch, to adjust the Wifi parameters to match the new access point—that is—unless the local settings are stored in the ESP8266 EEPROM. What’s great about the EEPROM is that once updated, the configuration is non-volatile, That is, the values remain the same after the system power is removed and re-applied. 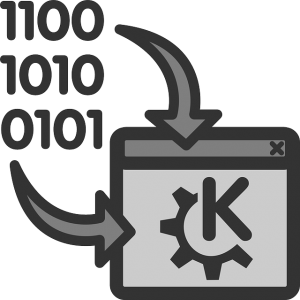 This post provides a method of setting and saving parameters likely to change with WiFi location, without changing the installed firmware sketch. Once you’ve got you IoT device finished, you really should not have to modify the software again. That is, unless enhancements are made or bugs corrected. I started out with intentions on building a reusable configuration template. This would include the parameters most likely to change with system location and cloud-based servers used. Using the Triple Server sketch I had developed recently as a test case, the configurable network and MQTT parameters were first identified. Then, these parameters were mapped to the ESP8266 EEPROM. The ESP8266 EEPROM configuration space is typically the first 512 bytes of memory. And here is how I allocated the configurable parameters to this EEPROM. Note that while 32 bytes are allocated for the character array parameters, this size is the maximum; it is not required to use this entire space. But each character array must be terminated in EEPROM with a NULL (0x00) character. set_ssid is the first parameter token, which is replaced with the value read from EEPROM. The parameters are structured in html as a form with the two buttons shown. The save button is of type “submit” which sends all of the parameters back to the ESP8266 as a GET request for saving to the EEPROM. But this merely saves the values back to EEPROM. Since the startup setup() function has already been run, the saved parameters do not become effect until an ESP8266 reset is performed. That is accomplished either with a power cycle or clicking on the “RESET ESP8266” button on this configuration page. Code was added to the ESP8266 URL request processing algorithm to handle web page requests. This is performed in the sketch’s Server_ProcessRequest function. For webpage requests, a slightly different URL format is used than requests to read a sensor. Note that there is no “?” for webpage requests. In order to parse the URL correctly for this case, the SdkWebServer_parse_url_params() function required modification. Note that while the sketch provided in this example only supports the configuration page, a review of the code should make it obvious how to expand this to support your own custom webpages. The first parameter parsed is used to determine the webpage request type. This example only processes 2 possibilities. If the first parameter is “config”, the configuration page is rendered. But if the first parameter is ssid, the value of the parameter must first be read in order to determine what action is requested. That is because the method of returning values to the ESP8266 code for both of the WebPage button is by submitting the form. When the reset button is clicked, the ssid value is changed to “reset” before submitting. In that case (above code), as message is displayed indicating the ESP8266 is resetting. Note that a 3-second delay is implemented using a timer before the ESP8266 resets itself. 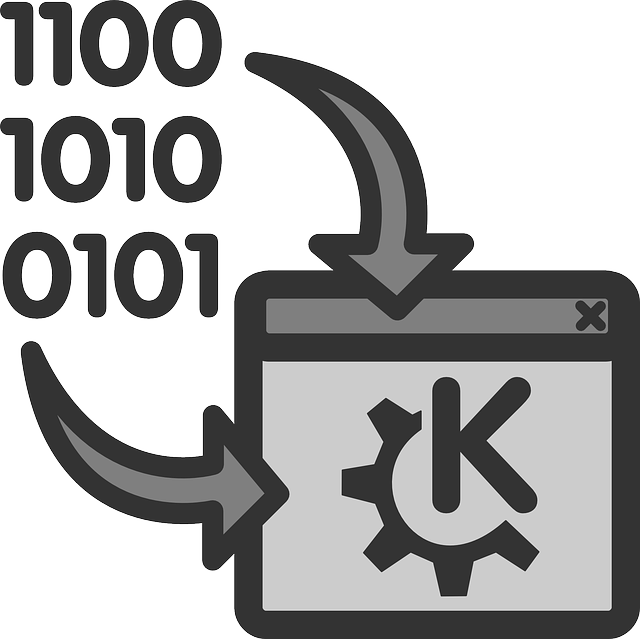 That is necessary to allow time for the reloading of the configuration webpage to complete prior to the reset. And in the case that the Save button is clicked, the ssid value from the webpage form input is not modified (set to “reset”) and thus, the values are simply saved to EEPROM. In case you missed part 1, the same code is used for this part 2. It is available on GitHub here. That’s it. A working framework for saving configuration parameters to ESP8266 EEPROM. And as an added bonus, you have a structure to expand this to render webpages of your own choosing. To control or monitor your own IoT things visually. Can you pl. include the function of publishing the ESP8266/ arduino port pin state/variable without being requested by any client? I think it should be possible in case of MQTT and not with HTTP server. Pl. correct me if I am wrong. Are you looking for a periodically published topic? Like sending data every n seconds? I solved this problem ,and I publish whenever event occurs like opening the box etc. I have sent a mail to you.with the files. I never got your solution (files) for the “on-demand” MQTT publication from Arduino and would be interested in comparing your implementation to the solution I sent to you recently. I’ll be posting a Part 3 update to this “Triple Server” article this week to add all the features we have discussed. Also if you can make the PUB and SUB topic linked with MAC ID of the ESP, so that these topics are unique across all ESP? Hmmm, Thanks for the suggestion. Thinking about a good implementation. You can only have one user logged into a MQTT broker from a unique IP. That is the broadband IP of your internet connection. This can be resolved by using a separate login username/password for each connection (ESP) on your network. You are using “test.mosquitto.org” as your broker. This public MQTT broker only allows anonymous (no username/password) connections. So only one connection is allowed per broadband (not ESP device) IP. You need to use a broker that supports username/password secured connections and assign a unique one to each ESP8266 device. When I first looked into this, I found that brokers supporting this capability were not free. Not willing to pay for an MQTT broker, I ended up setting up my own MQTT broker which can connect as many devices as desired to it. 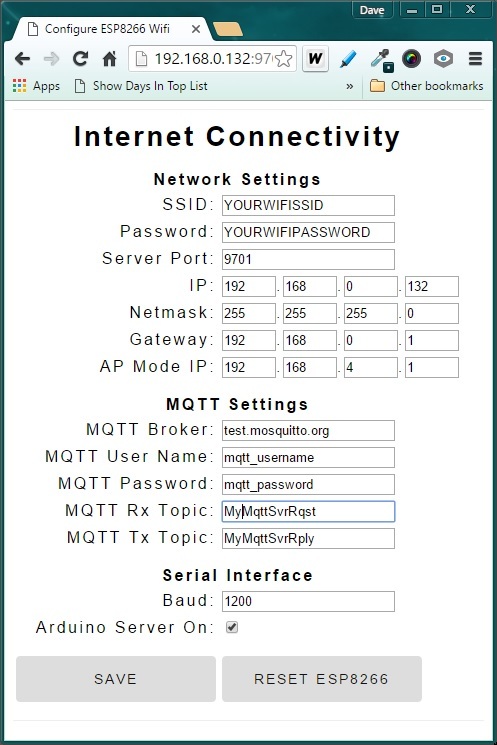 Here is a post providing step-by-step instructions on how to setup your own MQTT broker. This is one solution that will definitely support your need to connect 2 (or more) devices to an MQTT broker. And you might want to have a look at this ESP8266 update which supports both anonymous and password protected connections.